KANSAS CITY, KAN. ----- A 15-year-old girl who was kidnapped might be in the Kansas City area. An Amber Alert was issued Tuesday night for Nomei "Mimi" Velazquez. According to law authorities in Texas, she may be with Juan Fabian Arenas Delacruz. 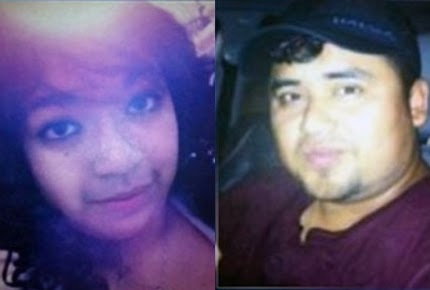 The teenager, who's listed at 4'11" and 120 pounds, was abducted from Nacogoches, Texas. A cellphone ping detected she may have been on Interstate 35 near Lenexa, Kan., on Tuesday evening. She was last seen wearing a white T-shirt, blue jeans, back tennis shoes and glasses. The man in question is 5'11" and weighs 170 pounds. Police believe both are in a silver 2004 Volkswagen Passat with a Texas license plate of DF7T507. If you have information, call 911 or the Kansas Bureau of Investigations at 800-572-7463.